We are exports and we deals in only export inquiries. 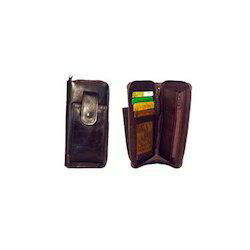 We specialize in designing a wide array of mobile holders by making use of fine quality tanned leather. These holders are provided with hard backing and cushioned interiors to place the mobile safely and protect them against any exterior shock. These holders are offered to our clients in a wide variety of colors, designs, patterns, textures, finishes, sizes and other specifications. We are offering our clients with a visually compelling assortment of Mobile Holders 102 that is used for holding mobiles and protecting them from jerks and shocks. These designer mobile holders are embellished with qualitative and attractive accessories that makes them attention grabbing. Minimum Order Quantity: 200 piece. Looking for Mobile Holders ?